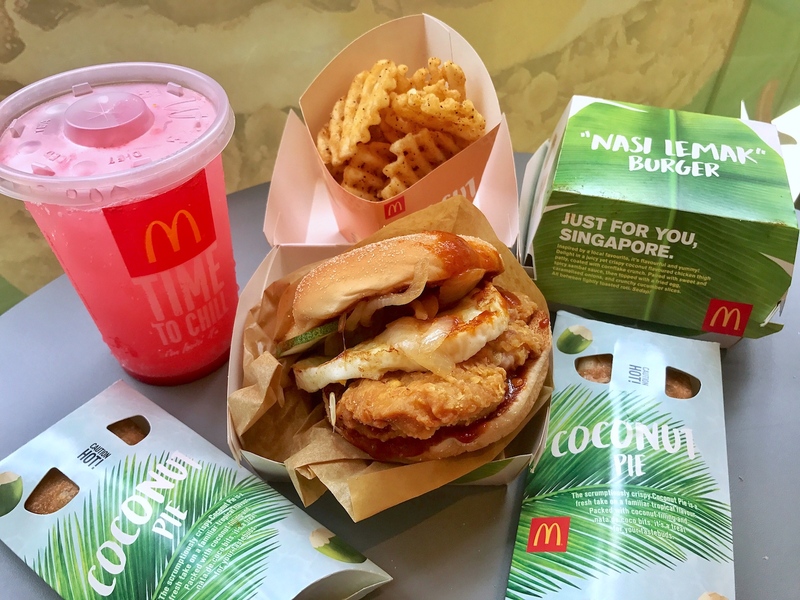 McDonald's is launching a whole parade of items with local flavours for National Day! Nasi Lemak! Bandung! Chendol! There's lots of good stuff! The new limited-time menu is launched in conjunction with the Singapore Food Festival (SFF) 2017, the annual festival organised by the Singapore Tourism Board (STB). 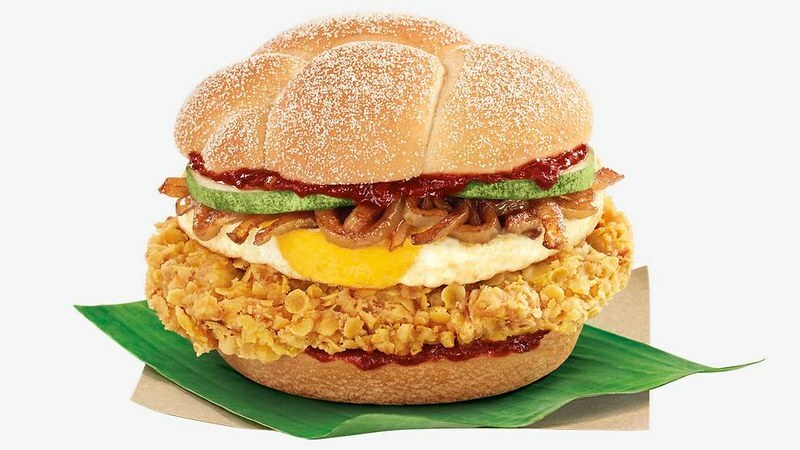 First up, the “Nasi Lemak” Burger (S$5.95 a la carte, or from S$7.80 in an Extra Value Meal™). It sounds like a dream. A juicy chicken thigh patty is infused with aromatic coconut flavours and coated with cornflakes crunch for an extra crispy finish. Served between lightly toasted semolina buns, the chicken thigh patty is layered with a golden fried egg, a bed of caramelised onions, crunchy cucumber slices, and topped off with a dash of sweet and spicy sambal sauce for that added zing. VERDICT: Wow, it really is lemak (rich)! I don't know how they managed to infuse so much coconut flavour into the chicken patty. But all the elements work well together and this really brings to mind the familiar nasi lemak flavours, even though there's no nasi in here. 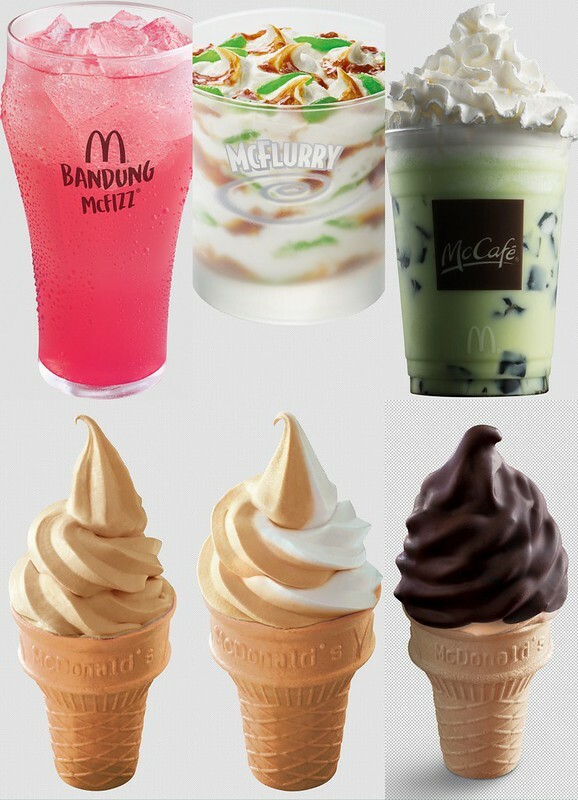 Top row: Bandung McFizz (from S$3), Chendol McFlurry (from S$3) and Pandan Coco Frappé (from S$4.60). The Chendol McFlurry is a mix of vanilla soft serve with Gula Melaka sauce and Chendol jelly bits. The Pandan Coco Frappé (available at McCafé®) combines coconut and fragrant Pandan flavours with grass jelly. Bottom row: the vanilla cones have all gone chendol! VERDICT: The Bandung McFizz is too sweet for me, but it's unusual as a rose-scented soda. I have to try the others another day. And Coconut Pie (S$1.20)??? I am in heaven! VERDICT: It's okay. 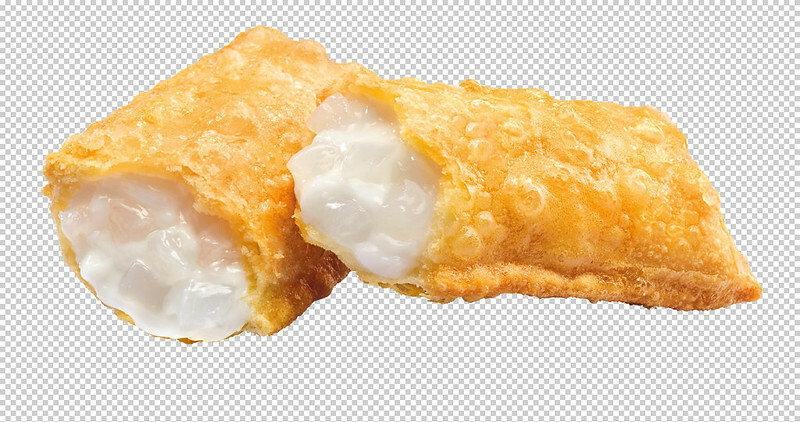 I wish there was more filling and more coconut bits in this. But I appreciate that they didn't make it too sweet. 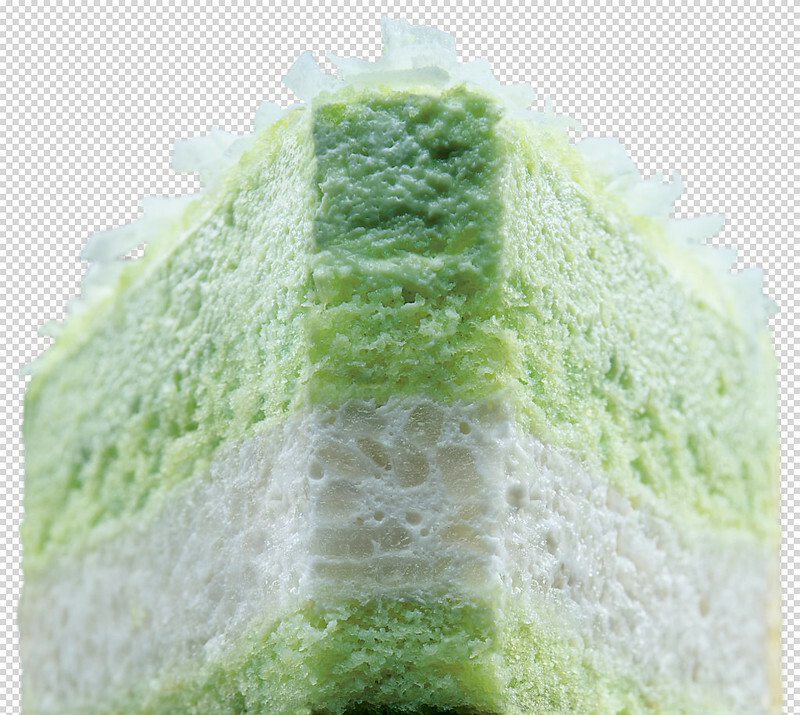 McCafé is also offering the Kueh Salat Cake (S$5) - pandan sponge cake and a delectable glutinous rice layer – a cake and kueh experience rolled into one! 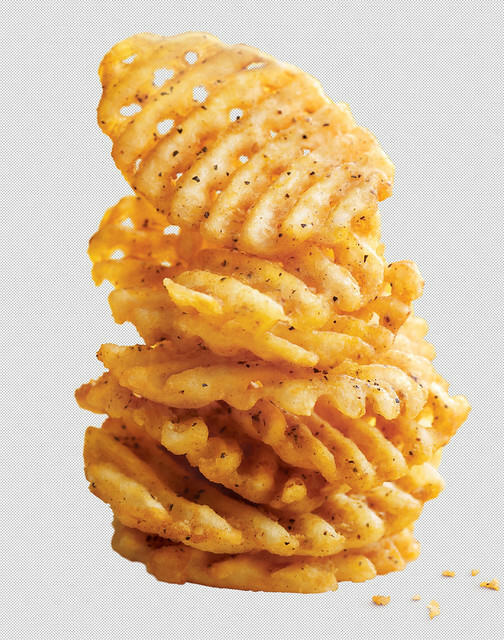 Oh, and Criss Cut Fries (S$3.40) are also coming back! VERDICT: Yums! More salty than the usual fries. As Singapore celebrates 50 years of National Service (NS50), McDonald’s is saluting our servicemen by offering all past and present NS men a FREE Apple Pie or Hot Fudge Sundae with every Extra Value Meal purchased (after breakfast hours) from 4 to 10 August. Eligible customers simply need to present their SAFRA Card, 11B or Pink IC to redeem the treat. In celebration of the nation’s birthday, McDonald’s is also spreading the joy with a limited-time offer for the signature Vanilla Cone available at a special price of only 50-cents from 4 to 10 August. The locally-inspired menu is available after breakfast hours in all McDonald’s restaurants, Drive-Thru and via McDelivery® from 13 July 2017, while stocks last.